By now, many in the creative design industry are aware of the new Adobe Creative Cloud subscription plan that puts a halt on further development of purchased software products. The last version of its flagship Creative Suite that can be purchased with a perpetual license is CS6. There will be no CS7. The newly announced model involves paying a monthly subscription fee for a cloud-based delivery system that in some ways is advantageous. It offers a lower cost of entry for new users and allows access to their complete roster of software products, among other perks. It also allows Adobe to offer upgrades as they are developed rather than waiting to bundle them together in a new version release. The sticking point for individuals and small business, however, is that we will end up paying more in the long run than before if one compares the cost of paying for upgrades over a set period of time vs. paying monthly. It’s much like leasing a car is more expensive over the long term than purchasing. 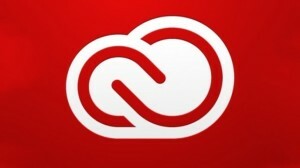 Current users of CS3 up to 5.5 will pay $30 (US) per month for the first year and CS6 users will pay $20 (US). After the first year the price jumps to $50 (US) per month. These prices are quoted in US dollars on Adobe’s Canadian web site. Does that mean the actual price we pay is going to be subject to the valuation of our dollar? Of biggest concern for individuals and small business is the loss of control over software budgets. A subscription model allows Adobe to increase the monthly fee it charges at any time and the potential for changing or removing your access to their software. A petition at change.org has been quite successful in enlisting support in asking Adobe to reconsider making joining Creative Cloud mandatory. Even if you are not a creative professional and currently affected, you may still want to sign this. I believe most major software companies will move in this direction and a large negative response could help shape policies for other companies such as Microsoft. Allow users to buy subscriptions for fixed payment terms of say 1 – 3 years. That way we retain control of our software budget for set periods of time just like we have always done. Users that lock in for extended terms would qualify for better rates than month-to-month subscribers. Offer a better monthly rate for long time users than currently offered. I have been using Adobe products for close to 20 years and would like to think that I should get a better rate than someone who has been a customer for 5 years or less. Allow users to pay for a package of products at different subscription levels. As much as it’s nice that Adobe offers all their products for one price, a user may never need or want to use anything other than what they had paid for in the past with the various Creative Suite versions. For instance a print shop that only uses InDesign, Illustrator and Photoshop shouldn’t have to pay a monthly fee based on a much larger suite of products they will never use. Perhaps you’ve given it some thought as well. What would you suggest could work for both sides?